It would not be wrong to say that Pakistan’s auto industry is blossoming right now. The improvement in country’s security and consumer demand has allowed the investors to venture into the auto sector. Keeping the importance of motorists’ demands in mind, United Motors has taken a step forward to launch two brand-new vehicles during the running fiscal year. Sources revealed that United Motors Pvt. 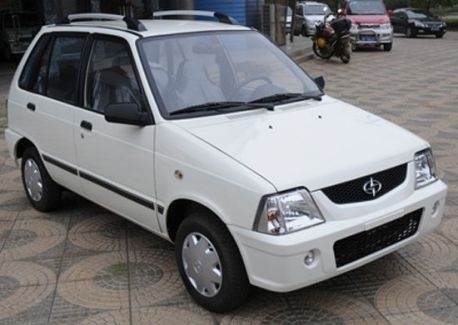 is launching two brand new vehicles – an 800cc car and a 1000cc carry pickup – in cooperation with a Chinese automaker in 2018. To target a cosmic auto market and reduce the manufacturing cost, the auto company is also establishing a production plant in Lahore which is in its final stages of completion. According to sources, the company will market the vehicles with a “UNITED” logo on them. One of the new vehicles will be available for the public in the first half of next year. With the announcement of these two vehicles, it feels like the motor company is planning to target the potential customers of Suzuki Mehran with its 800cc variant and the prospective customers of Suzuki Ravi, Suzuki Carry Pickup and FAW Carrier with the 1000cc pickup variant. In addition to that, the 2nd largest motorbike-selling brand of the country is also inviting the interested candidates for the 3S dealership of their brand-new vehicles. وہ ہے ہی مہران کی پک. S والے لوگو پہ new لکھا ہوا ہے. United after sales support is zero just like other bike manufacturers in Pakistan. Workers at united assembly plants are lazy and corrupt. i want low prices at least 1-2 lacs lower than mehran and better quality. Cars better be cheap ! this will be united 800cc car ………. P.S Picture is only for reference….